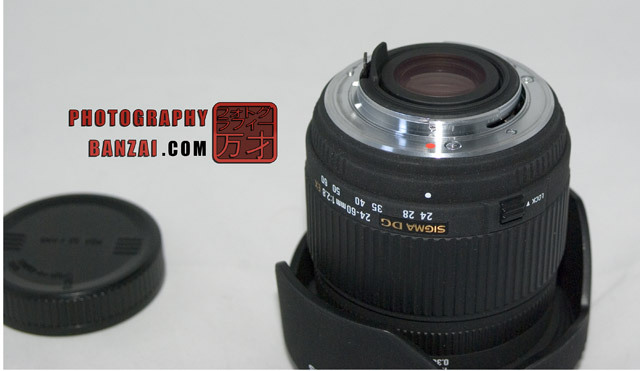 This Sigma lens came out around 2004 as a reasonably priced higher-end zoom lens specifically designed for digital SLR cameras. It has a maximum aperture of f2.8 throughout the entire zoom range, which is its claim to fame to being considered a higher-end lens. The reason it was lower priced probably had something to do with the unusual zoom range, 24mm being 6mm short of most standard kit zoom lens ranges (18-55mm). The barrel material is standard EX fair, which is either a love or hate thing for users. I personally am not too fond of Sigma’s textured paint on plastic that they use. I bought this lens many years ago and just recently traded it in to help pay for a new camera body. My justification was that I rarely use it as I prefer prime lenses in the focal lengths it covers. Notes: DG should provide more frame filling ability than DC lenses from Sigma. Screw-drive auto-focus is being used. The primary draw for this lens is that it has a reasonably large aperture that is constant throughout the 24-60mm zoom range. That means whatever focal length you are at, you will have f2.8 available to gather more light and/or have smaller depth of field. As stated before, the range of 24-60mm is a bit odd in that the standard is to generally have wider angle in a short zoom lens like this. People generally buy lenses like this to replace their low-end kit lens, but this lens deviates from that goal. It’s still manageable, but not ideal in wide angle ability. The lens would either be considered large or small depending on what you are use to. A Pentax 18-55mm kit lens is considerably smaller, yet this lens isn’t massive considering its wide aperture. Built quality wise, the exterior is plastic that is painted with a special textured matte black paint. The positive of this paint is that it is very good at not reflecting light and also provides decent grip. The negative is that it is difficult to clean and can flake off easier than other types of paint. Longevity is questionable depending on how tough you are on your lenses, but the surface paint isn’t vital to functionality meaning it is just up to personal preference. This lens was not designed to be used for manual focus, so the focus-throw is short and the focus ring is cheap feeling when being rotated. The focus ring does not have anything like Pentax’s quick-shift mechanism, so to use manual focus you must change the camera body’s setting to disengage the screw-drive focus. The zoom ring fares better as it is large and pretty smooth when rotating. The notched rubber on the manual focus and zoom rings is harder and slicker in feel than the barrel material, which is a bit of an odd choice. One nice little feature of this lens is that it includes a lock that prevents the lens barrel from accidentally extending when not in use. 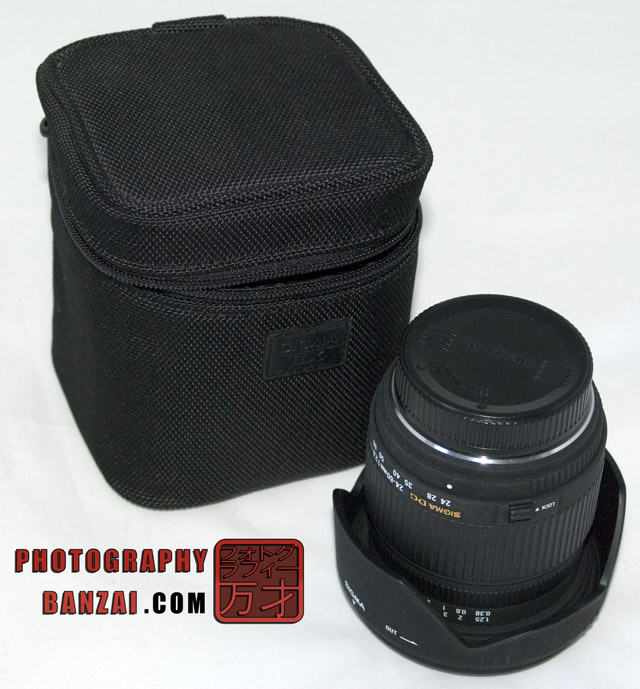 Lastly, the lens comes with a very nice case and decent lens hood to help prevent flare. The lens is soft at f2.8, but sharp at MTF (around f5.6) at 24mm wide angle. The lens doesn’t fare as well at 60mm, but the same to a lesser degree. It also suffers from aberrations at 24mm, but they are pretty much non-existent at 60mm. 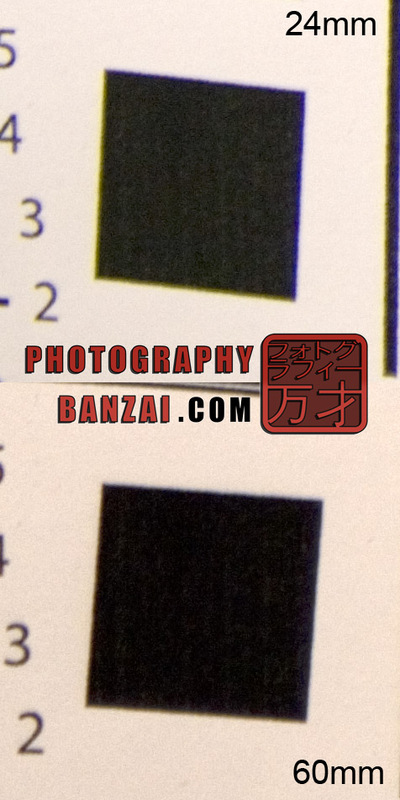 While I didn’t do any tests half way through the zoom range, I would expect performance to be between the two extremes if not a little toward being the optimal focal length range to get the best results. 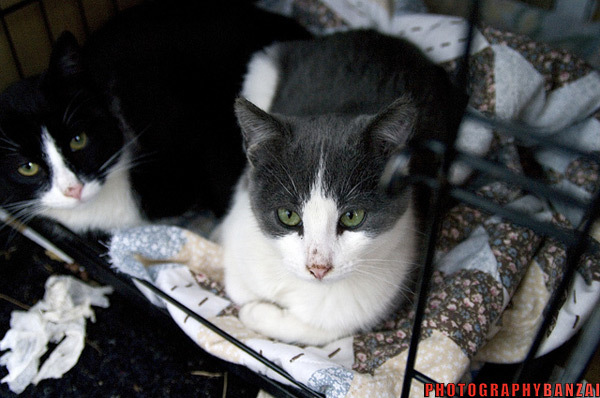 – Nice wide aperture lens allows it to be effective in many situations. 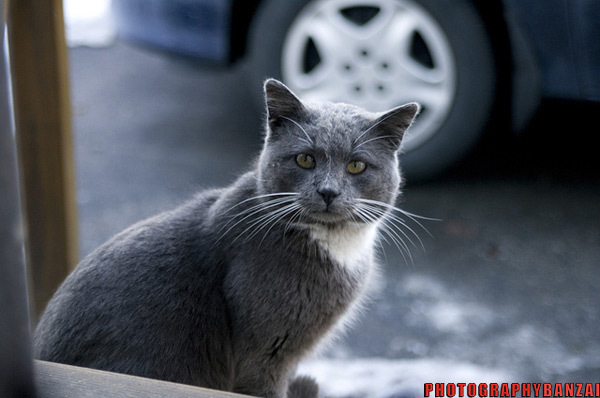 – Sharp when set to the optimal aperture size and toward the wide angle (MTF, around f5.6). – While I’m a bit critical of Sigma’s EX build quality (no idea what their newer lenses are like…), It is nice for the most part. I remember being impressed back when my experience mostly consisted of kit lenses. It is solid and should last a long time compared to the basic plastic stuff. – Provides the convenience of a standard zoom lens. 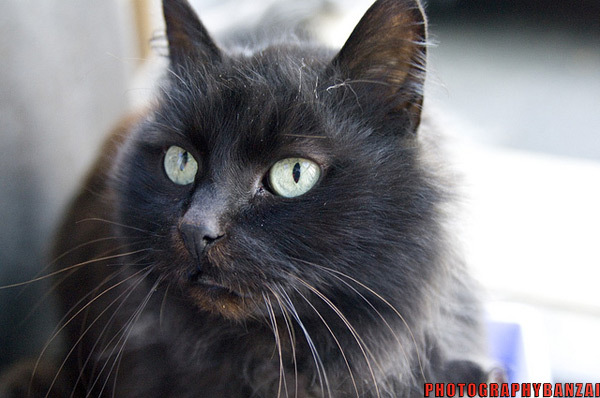 – The lens isn’t very strong at f2.8 compared to smaller apertures. – It is pretty big and heavy for a standard lens if you are use to kit lenses. – Not very wide angle. 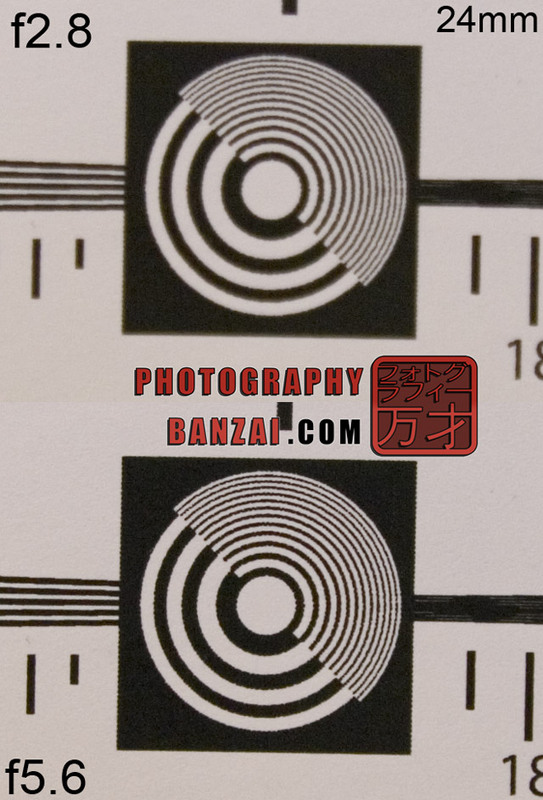 – Build quality isn’t even close to the metal Pentax lenses. This lens is not available new anymore, but can still be bought used occasionally. Depending on the price, I’d say it’s a strong performer as long as you try to stay within the sweet spot aperture and toward the middle of the zoom. Outside of that range, it’s serviceable and will most likely still provide higher quality results than most kit lenses. The constant aperture is its biggest selling point, but overall build quality and optics help complete the package. Not much else to say, but if the price is right and you want something better than standard cheap throw-away kit lenses, this might be the ticket. 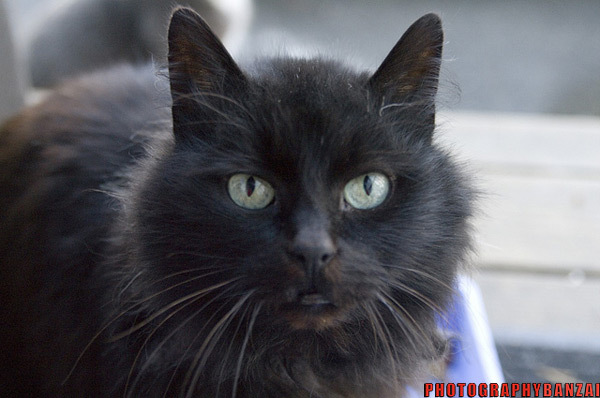 This entry was posted in Lens, Reviews and tagged 24-60mm, dg, ex, fixed, lens, review, sigma, zoom. Bookmark the permalink.